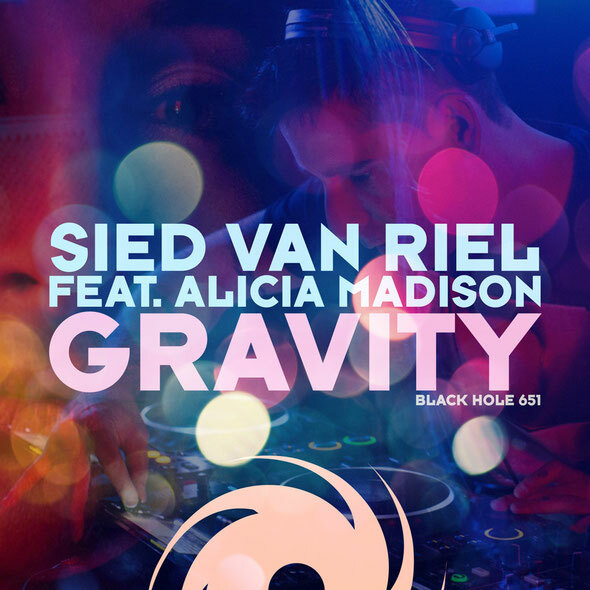 Sied van Riel hooks up with US singer-songwriter Alicia Madison for the release of ‘Gravity’, which alongside the Original Mix, there’s a selection of European remixes from the likes of Sneijder, David Forbes and Bastian Salbart. Also on board are remakes from the other side of the pond, with Jose Nuñez and Chicago duo Stephano & Torio giving the track their interpretation. 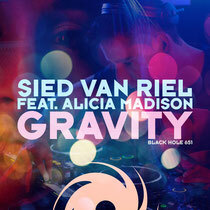 The intro of Sied’s Original mix engages the prog-drive, setting up an atmospheric transit to the drop and the vocals of Alicia Madison. She mirrors that theme to a tee, with introspective verses, which - backed by the Riel one’s surging riffs - finally lift the chorus to its big conclusion. Bastian Salbart’s remix of ‘Gravity is tough when it needs to be, atmospheric and emotive when it wants to be, but works the floor from first beat till last! David Forbes’ Full On Mix ups the BPM count to peak-hour speed, deepening the drums and letting the B-lines run wild. In the drop he masses the pads, bringing heart, soul and yet further implication to Alicia’s vocals. Sneijder primes his mix with tough, ripping beats and the looped and echoed harmonics of Alicia’s tones. Suffusing the break with evocative savannah-ish chords, he recouples the 303 and re-engages the synths. Making a rarer appearance these day, house is the feeling on Subliminal’s Jose Nuñez’s remap. Funkily rolling drums, skipping, open hi-hats, Disclosure-ish sub-bass, EQ with IQ and full effect FX should see his mix make short work of more groove-orientated floors. Finally, Joe Christofano & Victor Comforte aka DJs Sephano & Torio deliver ‘Gravity’ with comparably fine festival-ism thrills and spills of the electro/prog-house variety.